Amazing Voxel Bird Saga. THE REAL CHASE IS ON! NOW IN 3D! Tap to flap the wings of our cute little bird in this #1 thrilling and action packed 3D challenge. The little blue bird needs your help passing the 3D landscape of Voxel-Land. Collecting as many coins as possible and surviving long term are the goals in this voxel based adventure. Avoid hitting the ground and other obstacles, collect red flowers for some extra energy, pick up mushrooms to grow and become invincible to destroy anything in your way – or collect a bomb and blast a path through the environment. Get all achievements and become a real flappy, floppy, fluppy and fluffy Voxel Bird eagle! – Collect bombs to demolish the whole environment in one blast! 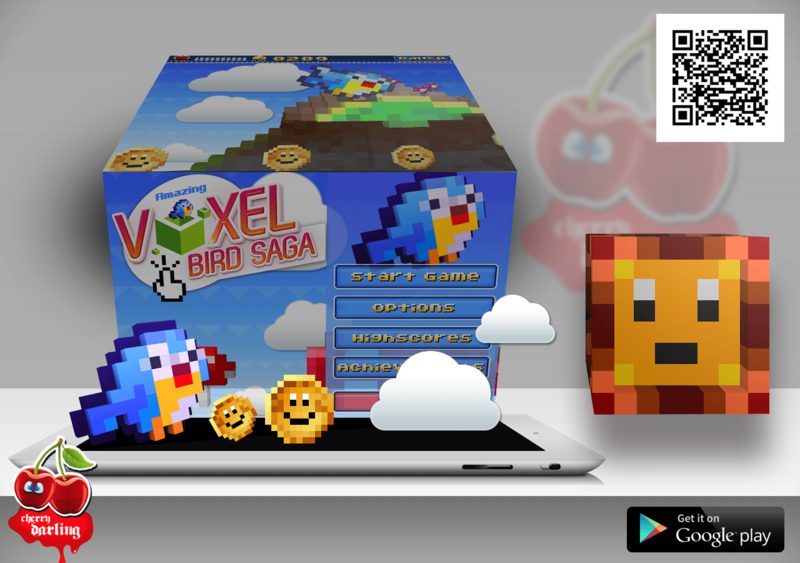 Wether you liked or disliked Flappy Bird, you’ll certainly love Voxel Bird!